AMC Huts Blog: Welcome back to the Huts Blog! Welcome back to the Huts Blog! Welcome back to the Huts Blog! This year we are celebrating the 125th anniversary of the Appalachian Mountain Club’s high hut system. The quasquicentennial has been off to a great start with the full service hut crews greeting lots of happy and hungry hikers over the last ten days. Before the first guests can start enjoying everything that the hut system has to offer a lot of behind the scenes work takes place leading up to the start of the season. 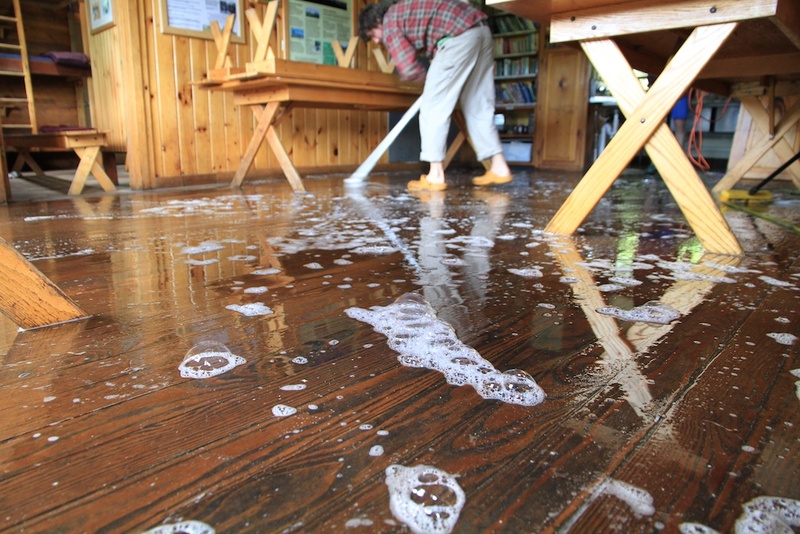 A hut crew member scrubs the dining room floor at Zealand. Once the boards are taking off of the windows it’s time to start stocking the hut for the summer season. 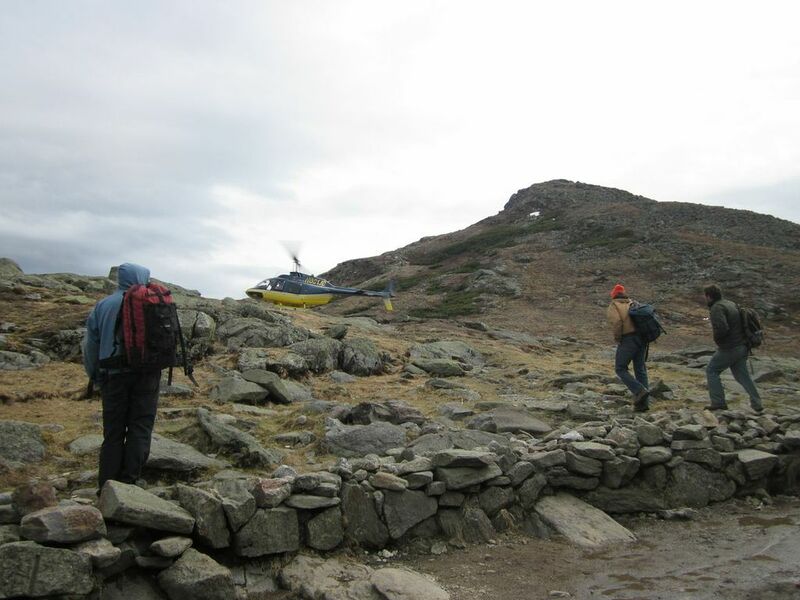 If you are hiking about the Whites on a sunny windless day in mid-May there is a good chance you will hear the sound of a helicopter carrying supplies up to the huts. After a week of flying, our pilots Carl and Wally hauled about 10 tons of food, construction materials and related goods up to each of the huts. The helicopter picks up a load of flour to bring to Lonesome Lake from the staging area at Cannon Mountain. 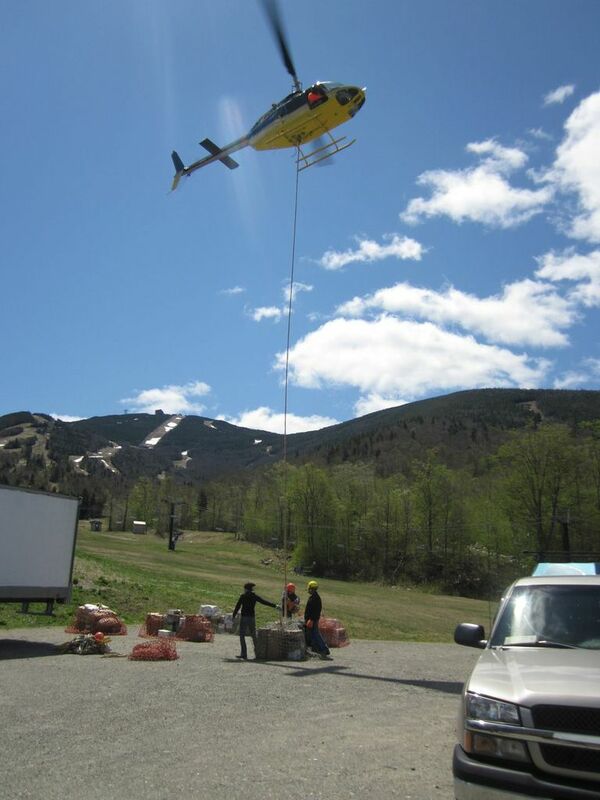 Wally lands the helicopter to pick up some Construction Crew members from Lakes. Now after a week of staff training, a relaxing Memorial Day weekend and a week to prepare the huts, our full-service crews were excited to carry on the 125 year tradition of High Mountain Hospitality and welcome the first guests of the season. Come visit us this summer, and check back in this space for regular updates on the goings-on of the White Mountains all summer long. 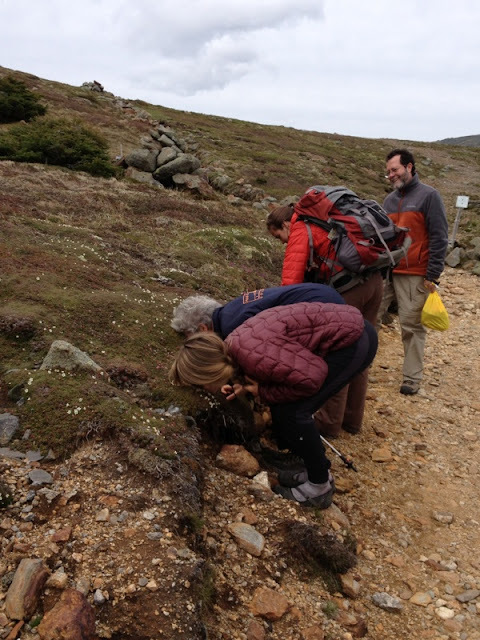 A group of hikers gets an up close of diapensia, a plant found in the alpine zone of the Whites. 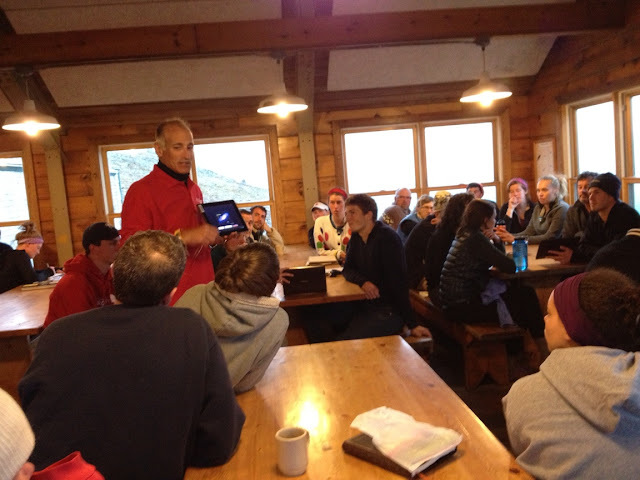 Doug Arion, Professor of Astronomy at Carthage College, gives a program on the formation of the universe at Lakes of the Clouds.